"The butcher of Isidis Planitia. A war criminal under the Cabal. A nightmare under Oryx." Sho'oulth, Horror of Oryx is a Taken Centurion encountered in The Barrens during Taken Corruptions on Patrol Mars. Before he was Taken, Sho'oulth was a feared Cabal commander on Mars. 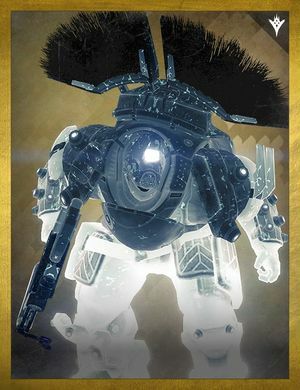 He is a weekly bounty given by Petra, and is a target of the Taken War questline.